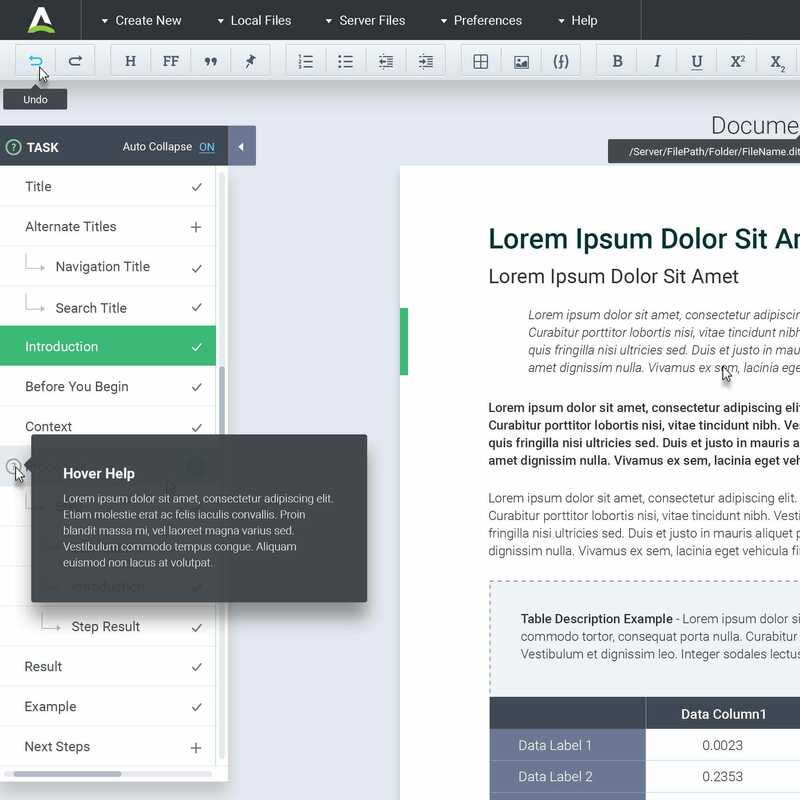 AuthorBridge is a low-cost, full-feature, easy-to-use, web XML editing tool that can be used by SMEs and ID professionals and requires no knowledge of DITA or XML. AuthorBridge v3 - raising the bar... again! Web-based authoring tools are improving all the time, and with version 3 of AuthorBridge, Stilo is setting new standards for ease-of-use and performance for subject matter experts and Information Development professionals in DITA authoring environments. 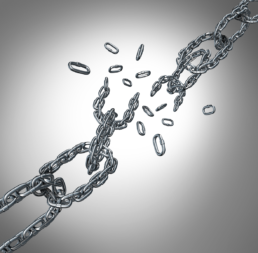 It is these rigorous structural constraints that restrict the way in which authors can create content. So we figured, if the XML structure is too rigid for authoring, why not lose it? It is the unique architecture ‘under the hood’ that makes AuthorBridge so different from all other XML editing tools. It provides SMEs with a less rigid XML structure, which is then converted to a more rigorous DITA XML structure behind the scenes. As a result, content creation is easy and efficient. The SME is unencumbered by the authoring tool, and provided with an intuitive and free-flowing authoring experience (much the same as when authoring in Word). We call this fluid authoring. 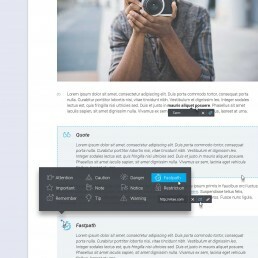 This is made possible through the integration of CKEditor, the world-leading, Open Source HTML text editor. With more than 17 million downloads and over 10 years of continuous development, it is trusted by companies including IBM, Microsoft and Oracle. AuthorBridge was developed in close co-operation with the Central ID Tools Team at IBM, the originators of the DITA standard and long-time experienced practitioners of working with leading XML editing tools. 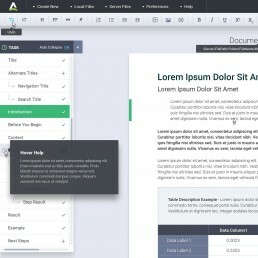 It has subsequently been deployed in production by IBM to collect content contributions from hundreds of SMEs helping to roll out DITA authoring to non-ID professionals in marketing, engineering, training and support. 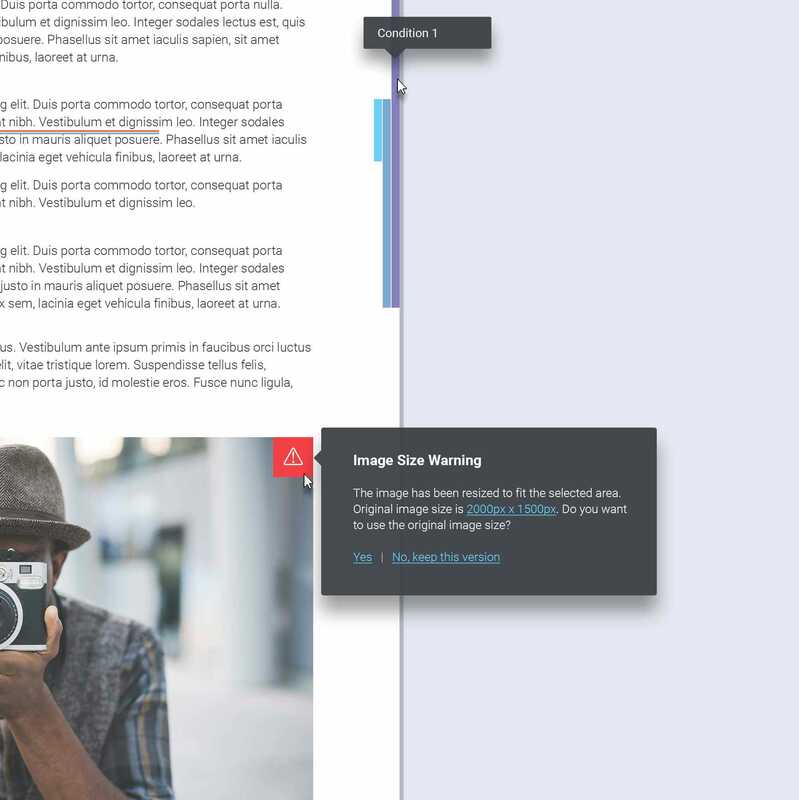 The AuthorBridge editor includes an unobtrusive guidance panel that can be readily customized to help SMEs understand precisely where they are in the structure, and is much less constraining than a typical templated approach. It is designed to guide the author naturally, with no explicit tagging or structure to directly manage. When changes are made to the content, the AuthorBridge conversion engine automatically computes and applies the appropriate semantic markup, allowing the SME to concentrate exclusively on authoring the content. Trying to make sense of structure (e.g. 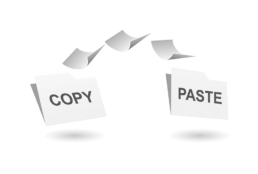 numbered or bulleted lists, tables) when copying and pasting from Word or Excel directly to an XML editor is typically challenging. Not so with AuthorBridge, the XML server makes sense of it all under-the-hood. By leveraging visual cues & context, it is able to determine the appropriate markup to apply and ensure that it is valid at the target location. AuthorBridge provides support for the <CALS table> model (also known as the Oasis Table Exchange Model). The CALS table supports the spanning of multiple rows or columns for special layout or organizational needs and provides a wide variety of controls over the display properties of the data and even the table structure itself. These more complex table formats are often used in technical documentation for formatting purposes. AuthorBridge also supports the <simpletable> format. As the name implies, it is structurally less sophisticated than the CALS table. Starting from as little as US$100 per named user, per annum, AuthorBridge sets a new paradigm in the pricing of XML editing tools and is affordable for authoring teams both large and small. AuthorBridge can be configured to incorporate a broad range of add-ons, with ongoing support provided by Stilo for the total enhanced solution. 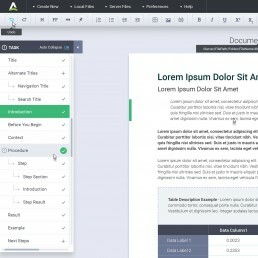 CKEditor community add-ons include Google docs viewer, templates, form elements, equation editor, math editor, YouTube embedding, list, formulae, floating tool bar and many more, totalling 300+ at last count. AuthorBridge can be readily integrated with local file systems, shared repositories such as GoogleDrive, Box or GIT, in addition to central CCMS systems. Stilo has been involved in the development of structured content tools and technologies for more than two decades, helping major organizations solve some of the most complex content processing problems. We are the developers of OmniMark, an SGML/XML content processing language and Migrate, a ground-breaking cloud XML content conversion service. We have helped our customers convert over a million pages of content to DITA XML from source formats including Word, FrameMaker, InDesign, RoboHelp and Madcap Flare. It is our deep understanding of DITA and our ability to solve difficult content processing problems that led us to the development of AuthorBridge. 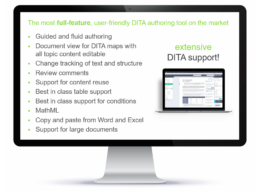 If you are looking for a low-cost, full-feature, easy to use, web DITA editing tool then please do get in touch – we’d be happy to set up a live demo with your technical authoring team and/or subject matter experts and to better understand your authoring requirements. Alternatively, you can view the recorded demo to your right – or sign up for our free 30-day trial!